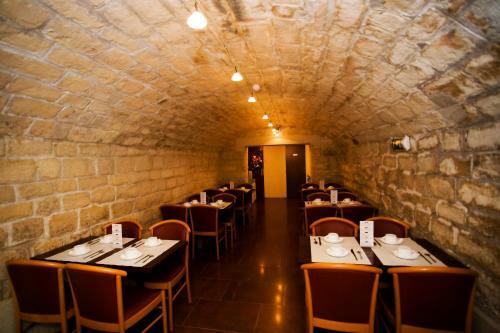 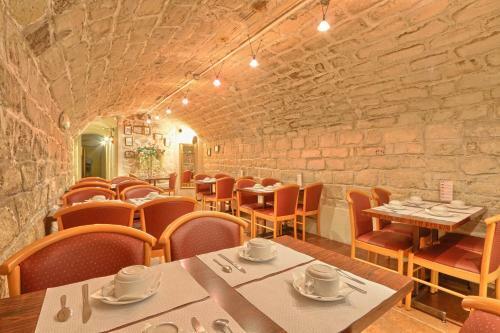 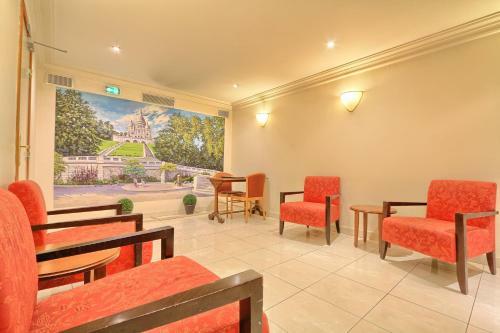 Located in a historic Montmarte district in Paris, 121 Paris Hotel is a 10-minute walk from the lively Place de Clichy, the Sacré Coeur Basilica and the Moulin Rouge. 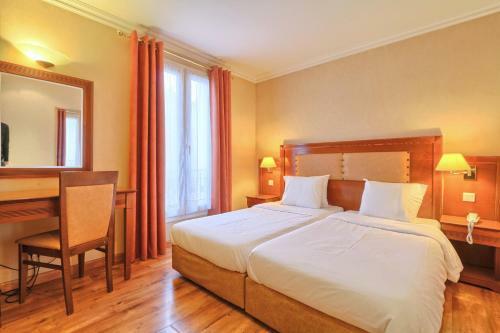 Saint-Lazare Train Station and the famous Printemps and Galeries Lafayette Departments Stores in the Opéra Garnier district are both a 15-minute walk away. 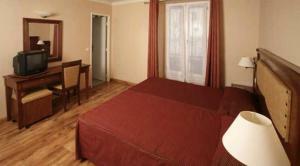 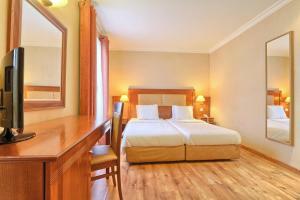 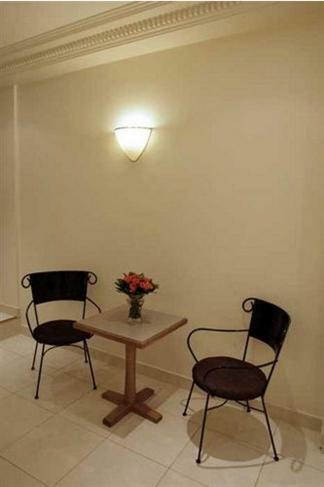 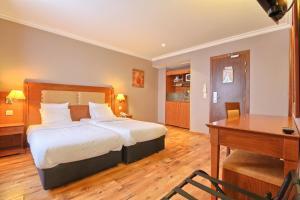 All rooms feature a TV and free WiFi access. 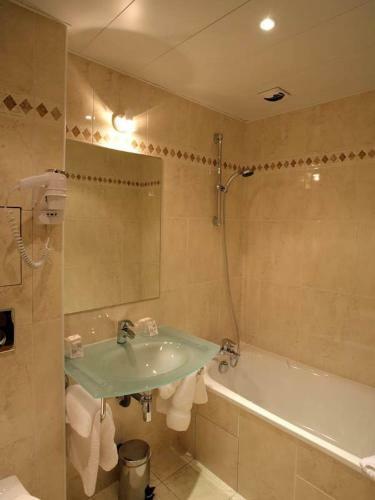 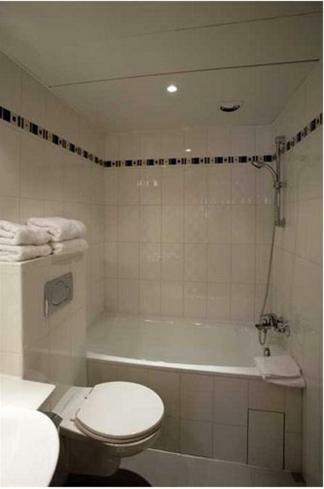 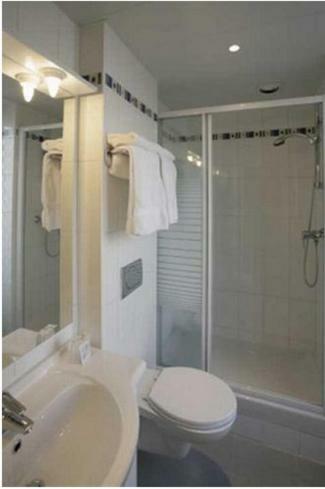 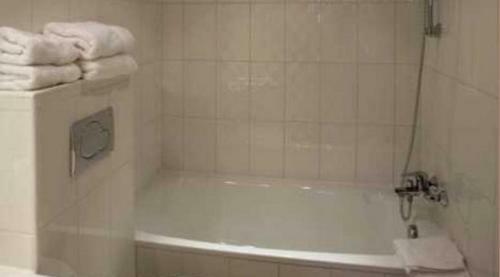 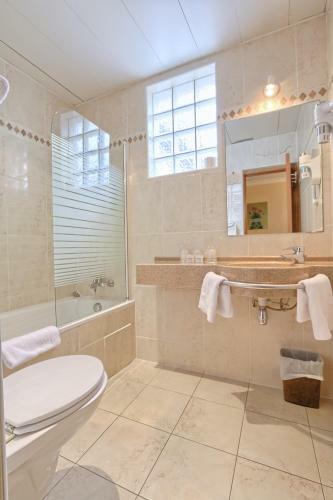 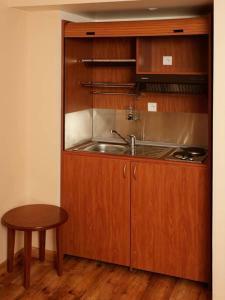 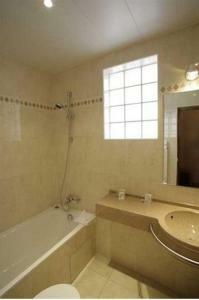 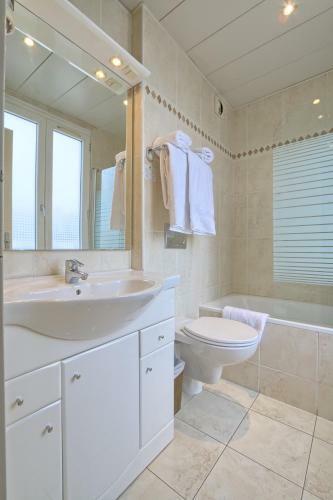 The private bathroom is equipped with a bath or shower, toilet and sink. 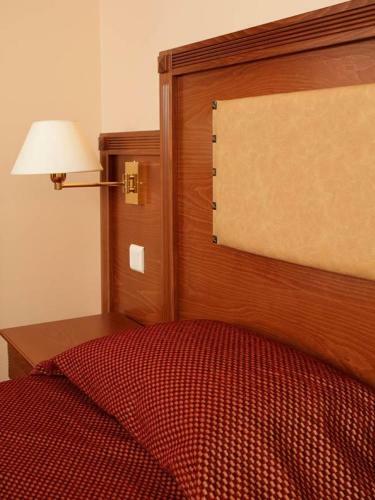 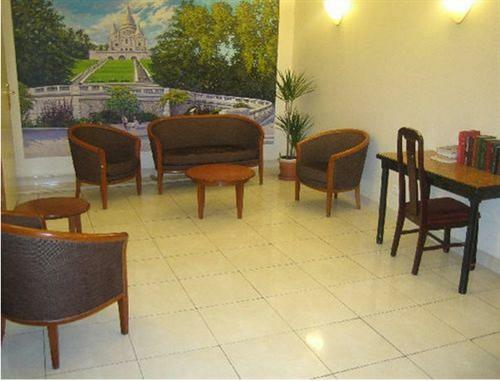 One room is also adapted to guests with reduced mobility. 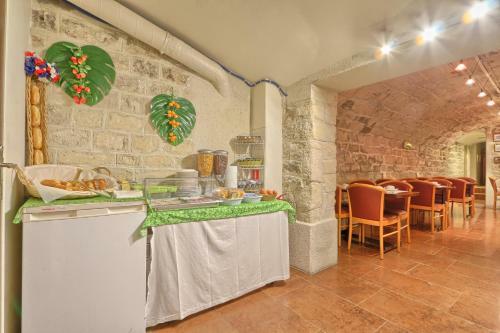 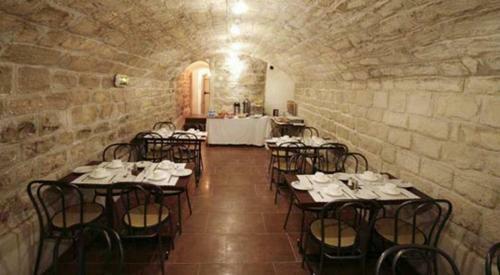 A buffet breakfast is served every morning at the 121’s cellar-dining area. 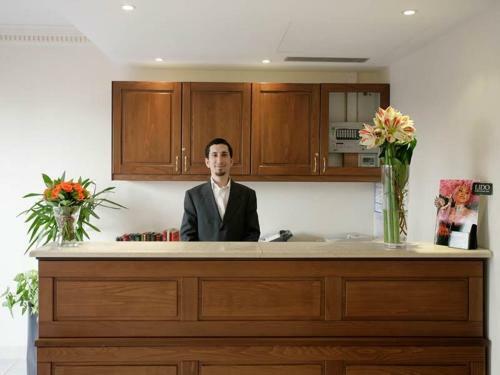 There is a 24 hour front desk. 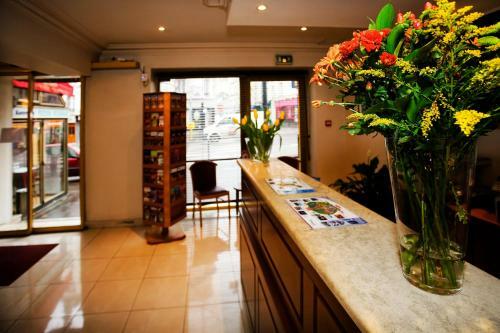 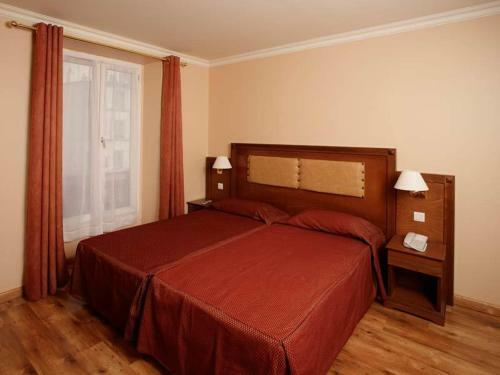 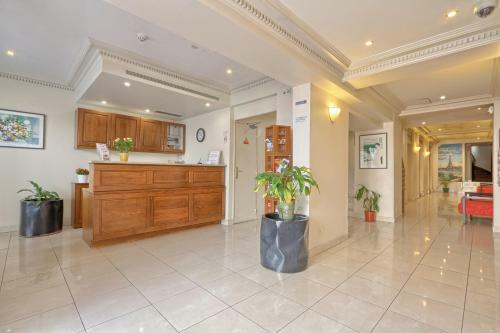 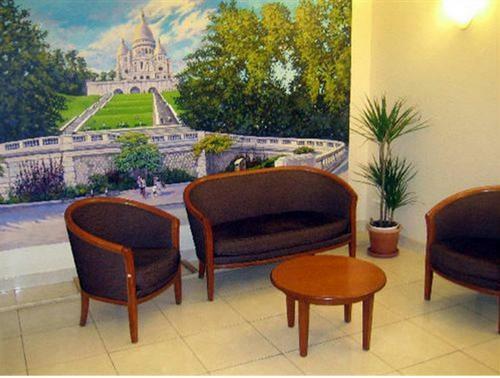 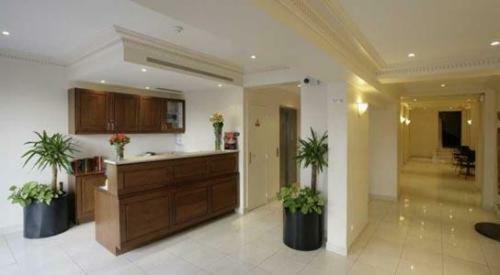 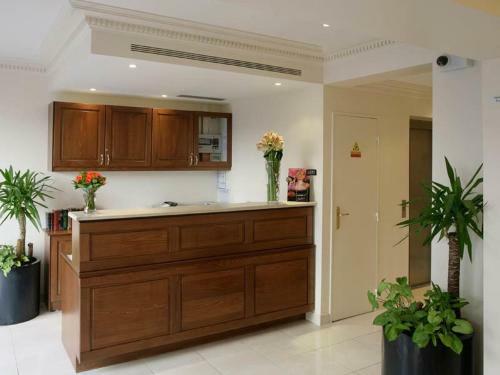 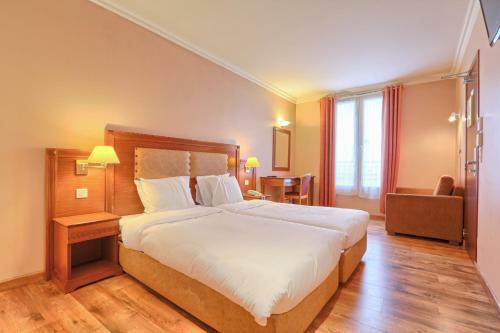 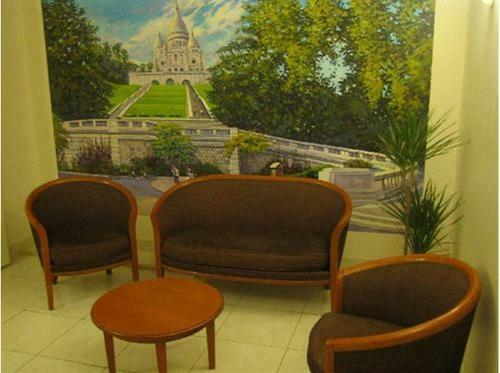 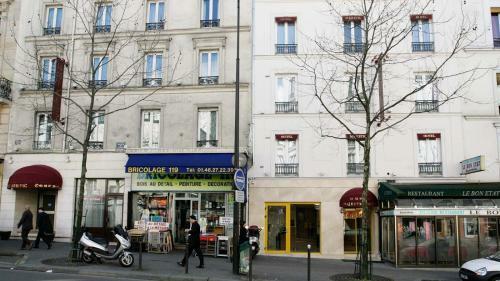 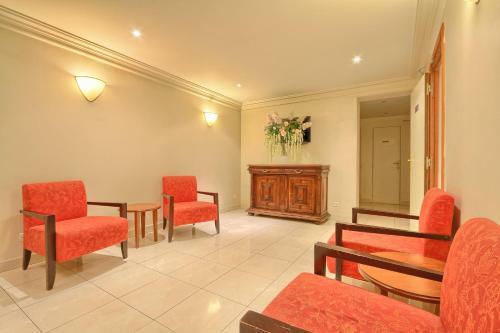 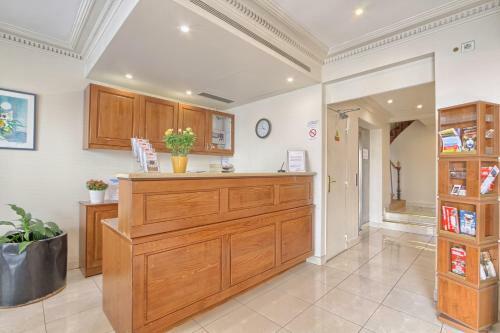 121 Paris Hotel is 100 metres from the Brochant Metro Station, giving direct access to the Champs Elysees and the Clichy-Batignolles-Martin Luther King Park. 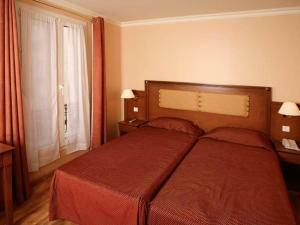 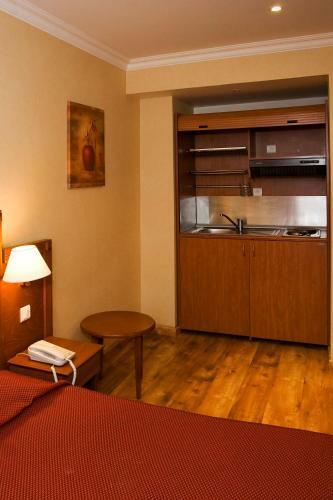 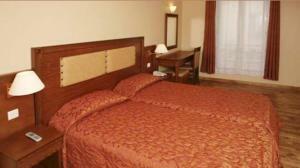 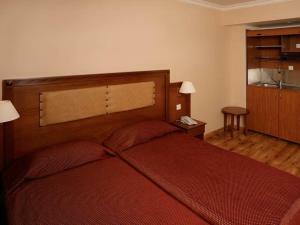 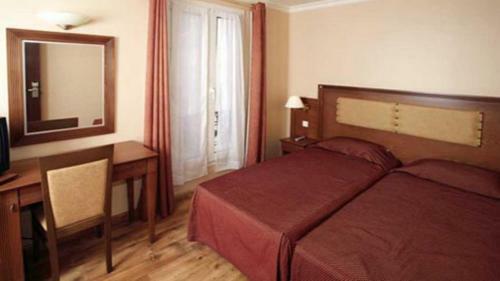 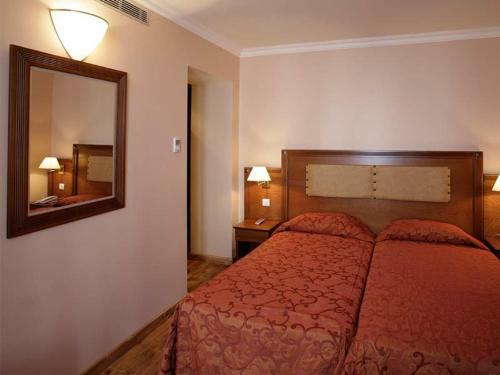 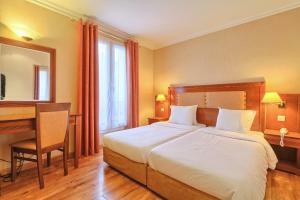 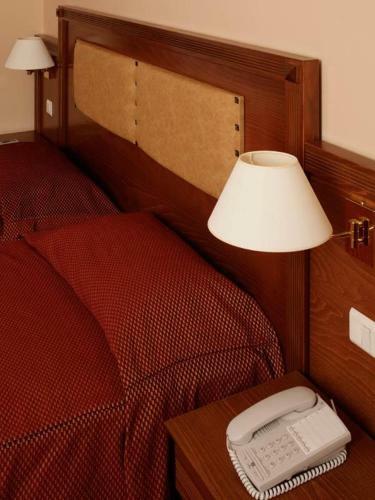 Rate: € 65.00 ... € 162.50; select dates below to get current rates. 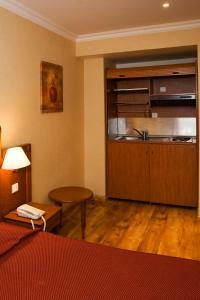 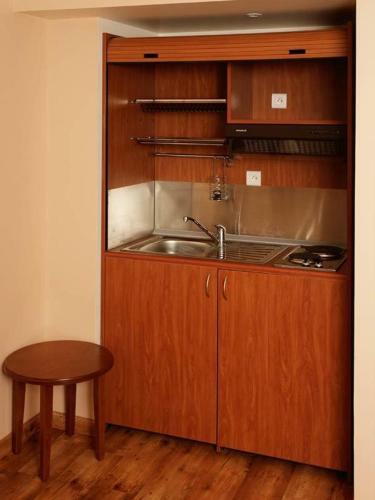 This studio has a satellite TV, air conditioning and minibar.